Today we suffered a bit this morning due to the full moon. Keepers didn't start eating till about 10 but we managed to catch some nice fish. 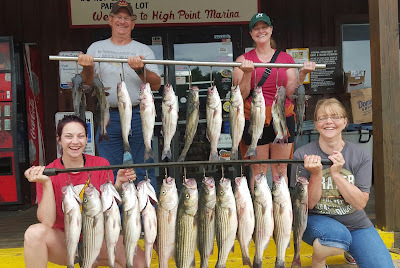 Between both boats we caught about 80 Stripers and 30 Catfish.